Donna joined the firm in 2002 from another chartered firm. 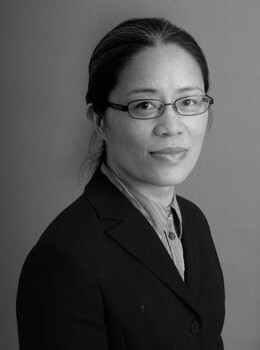 Prior to moving to accountancy, Donna was working and studying law in both China and Australia, including five years in practice in China. She obtained her ICAA Certificate of Membership in 2004. She distinguished herself by achieving a top 5% in 3 out of the total 5 modules. She was subsequently given awards for this by the Institute of Chartered Accountants. Donna specialises in taxation advice and business consultancy. She has worked with clients from different industries, from IT to building, from wholesale to retail, from medical practitioners to consultancy firms, and worked with clients of different sizes: from high wealth individuals with companies, trusts, self-managed super fund within the group, to multi-national companies. She lives in the inner west area with her husband Sam and 2 children.